Make it faster! If I want to make this quicker, I will make them into four smaller loaves and cook it for about 25 to 30 minutes. You can also make it in cupcake tins like I do in this Cupcake Meatloaf with Mashed Potato Frosting.Add heat! If you want to spice things up you can add some chipotle or sriracha to the ketchup.Make it low-carb or grain-free. Swap the breadcrumbs out for equal amounts of almond meal.Make it with oats. Swap the breadcrumbs out for equal amounts of rolled oats.BBQ Sauce. 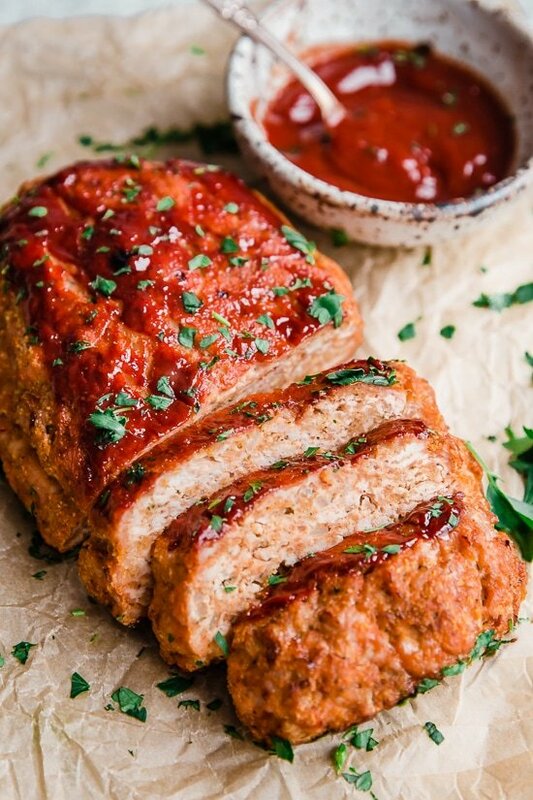 Instead of the ketchup glaze, you can use BBQ sauce to give it a smokey flavor.Make it juicier. 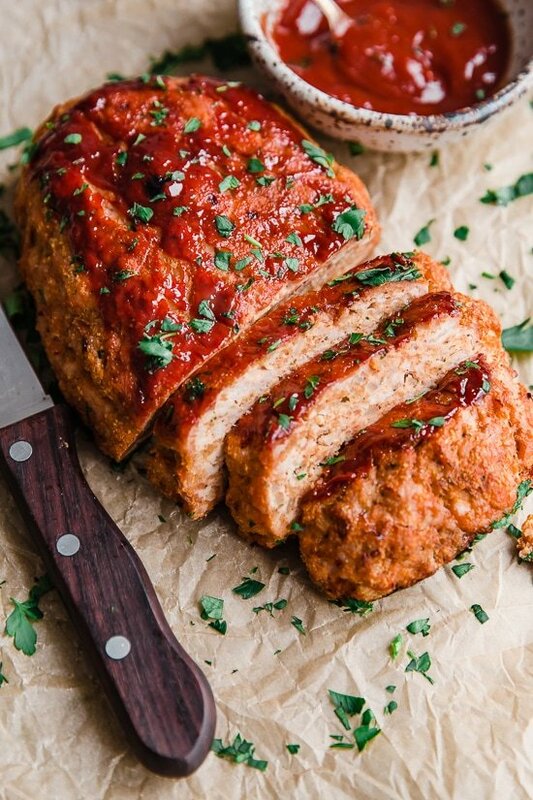 I often use 93% lean for a juicier turkey meatloaf.Make it for Meal Prep! It only takes a few more minutes to double the recipe, make two and have the rest for lunch or freeze it for another night.Leftovers. Leftovers are great for sandwiches. Refrigerate 3 to 4 days. Preheat the oven to 350F.In a small bowl combine 2 tbsp of the ketchup with Worcestershire sauce.In a small skillet, heat olive oil and onion on low heat until translucent, 3 to 5 minutes, remove from heat.In a medium bowl combine the turkey, onion, breadcrumbs, egg, 1/4 cup ketchup, salt and marjoram.Place mixture into a loaf pan or shape into a loaf and place on a baking pan. Spoon sauce on top.Bake uncovered for 55-60 minutes, remove from oven and let it sit for 5 minutes before slicing.